Art is generally the product of creative expressions such as painting, photography etc. Stringart belongs to the mixed media category, you used thread and pins. Stringart, or pin and thread art is characterized by an arrangement of colored thread string between point to from geometric patterns or representational desings such as a ship sail ect. Thread is wound around nails. 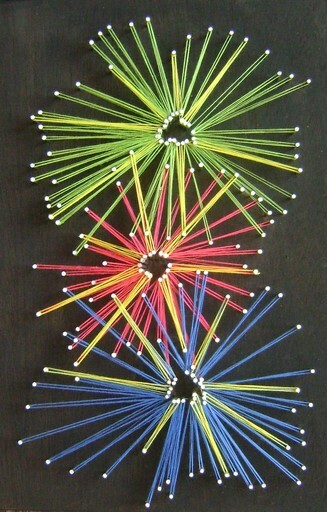 My string art work is especially, because I do not use existing patterns.